We all hear about body doubles, but we so rarely get to see them in their own full light, leading everyone to wonder just how alike these stand-ins could possibly be. 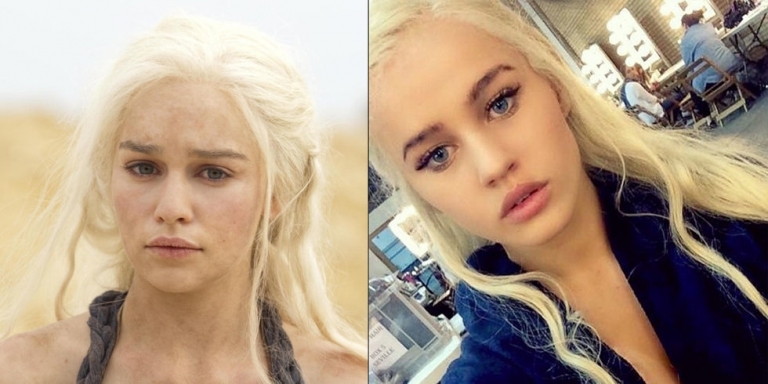 In the case of Rosie Mac, the body double for Emilia Clarke's Daenerys on Game of Thrones, the resemblance is remarkable. What's also remarkable is how beautiful she is. "The best way to predict the future is to create it -"